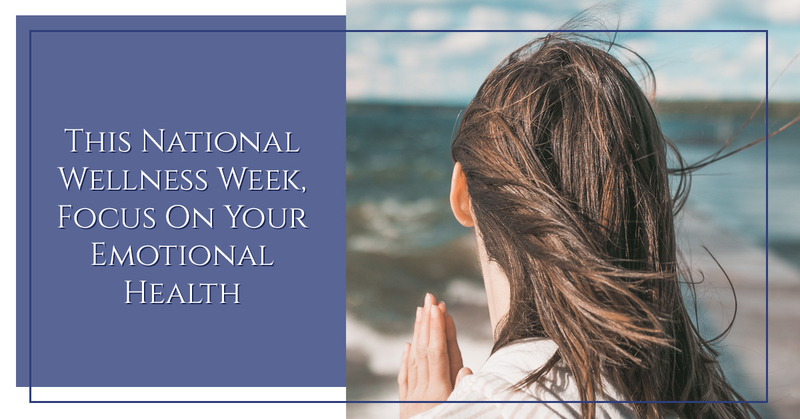 Every year during the third week of September, we celebrate National Wellness Week, which is part of National Recovery Month led by the Substance Abuse and Mental Health Services Administration (SAMHSA). During this week, we look for ways that we can better incorporate the eight dimensions of wellness into our lives. Each of these eight dimensions are important to prioritize, and when you work with our therapists in Palatine, we can help comprehensively address your wellness. However, the element of wellness most closely linked to our work is emotional wellness, which is why we have put together a list of ways you can work on being more emotionally well in your life. One major source of unhappiness is unrealistic expectations. Unrealistic expectations set you and the people in your life up for failure. For example, you might have the expectation that if you are in a healthy relationship, it should just be easy. This means that when you do have issues, as all relationships inevitably do, it is hopeless and you just need to break up rather than work through it. When you have unrealistic expectations, you are constantly disappointed. Think about the expectations that you have about yourself and others and write them down. Then contemplate whether any of them are unrealistic and need to be adjusted. It’s important to feel trust in yourself and your competence. This leads to greater self-worth from taking action and showing yourself that you can succeed. Do this by setting small, realistic goals that contribute to the overall way you want to live your life. The key is to make sure you have an action plan for achieving your goals. Follow the SMART method of goal setting: make sure your goals are Specific, Measurable, Attainable, Relevant, and Timely. There are two fundamental truths of change: it’s scary and it’s inevitable. You cannot avoid change, as much as you might try. The more you resist change, the more frustrated and disappointed you will be. Let go of your need for control and embrace change, and you may find a new opportunity for growth. When things are going badly, it can feel like a five-alarm fire is going on inside your head. Some people feel the need to withdraw in these moments, feeling ashamed, overwhelmed, and not wanting to burden someone with their problems. However, this isolation only makes them feel worse. Talking about what’s going on with someone you trust goes a long way towards helping you cope with your emotions. If you find that your problems go deeper than what can be discussed over a cup of coffee with a beloved friend, you may want to seek counseling. At New Transitions Counseling Center, we offer effective cognitive behavioral therapy in Palatine. If you are struggling with your emotional wellness, one of our therapists would be happy to help you navigate towards a higher quality of life. Contact us today for a free phone consultation.